The club had been looking forward to Conference Championships since taking second place last season. This year, we sent a strong squad of 8 athletes. For men, we sent Jeevan, Tim, Jason, Ian and Nick. For women, we sent Cecilia, Brianna and Teresa. We drove to Sweet Home, Oregon on Saturday, and stopped along the highway to enjoy our amazing lunch from the Essential Baking Company! We got into Sweet Home around 6pm, and went straight to the race site. The OSU team coordinated a collegiate potluck for Saturday night, so we all enjoyed a great dinner and mingling with other athletes in our conference. 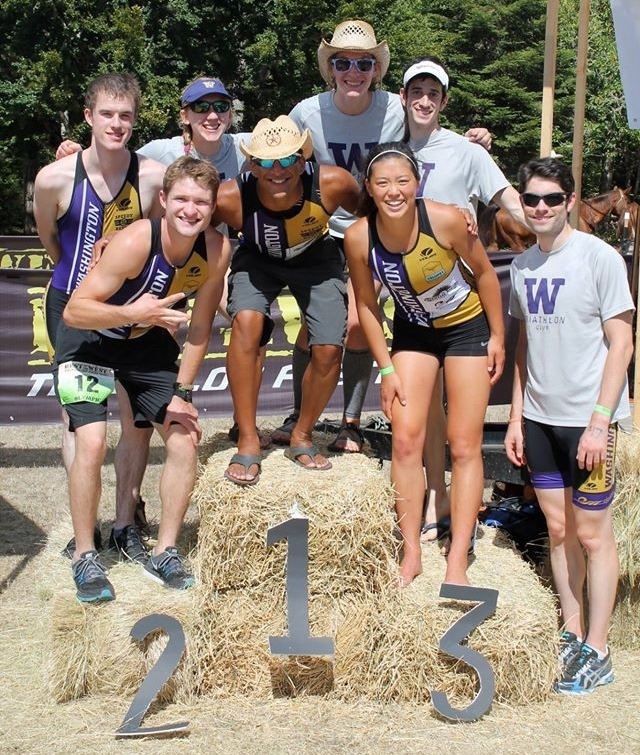 The Best in the West Triathlon course is always challenging, but never fails to be a season highlight. Our women's team finished with Cecilia and Brianna taking 1st and 2nd, with Teresa not far behind in 5th. For men, Jeevan won the overall title after taking 2nd in 2014. Tim finished in 5th, Jason in 7th, Ian in 9th, and Nick in 13th. Over the past season, our team has gained a lot of depth, and we can't wait to see it continue.